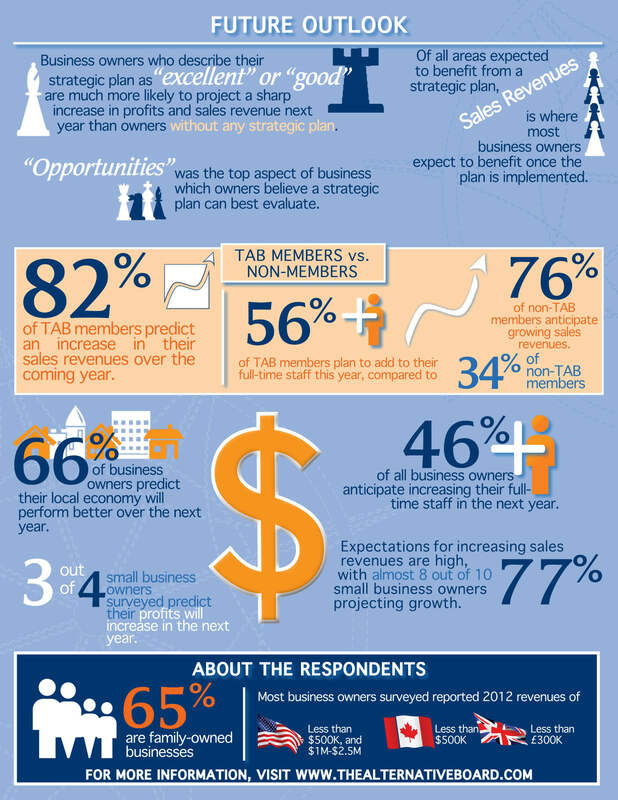 This is a high-level summary of our key findings from the 2013 Small Business Pulse Survey. This survey concentrated on Work/Life Balance. Hundreds of entrepreneurs were surveyed to measure their outlook for the year ahead. Small business owners would like to work a whole lot less than they actually are working: 66% work between 40 and 60 hours per week, and 19% work more than 60 hours per week. 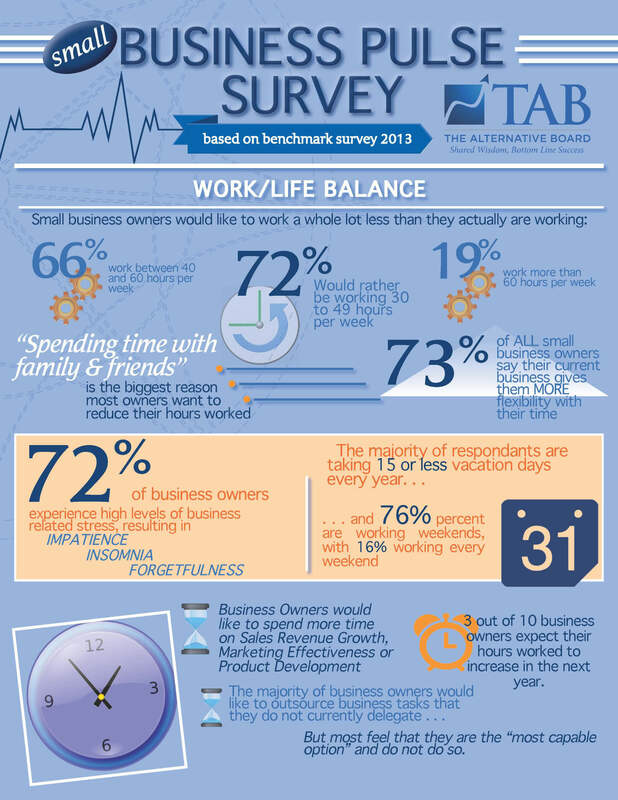 72% of business owners would rather be working 30 to 49 hours per week. The biggest reason most owners want to reduce their hours works is to "spend time with family & friends". 73% of ALL small business owners say their current business give them MORE flexibility with their time. The majority of respondents are taking 15 or less vacation days every year. 76% of small business owners have said they've worked on a weekend, with 16% stating they work every weekend. If given the time, business owners would like to spend more time on Sales Revenue Growth, Marketing Effectiveness or Product Development. The majority of business owners would like to outsource business tasks that they do not currently delegate but most feel that they are the "most capable option" and do not do so. Three out of ten owners expect their hours worked to increase in the next year.